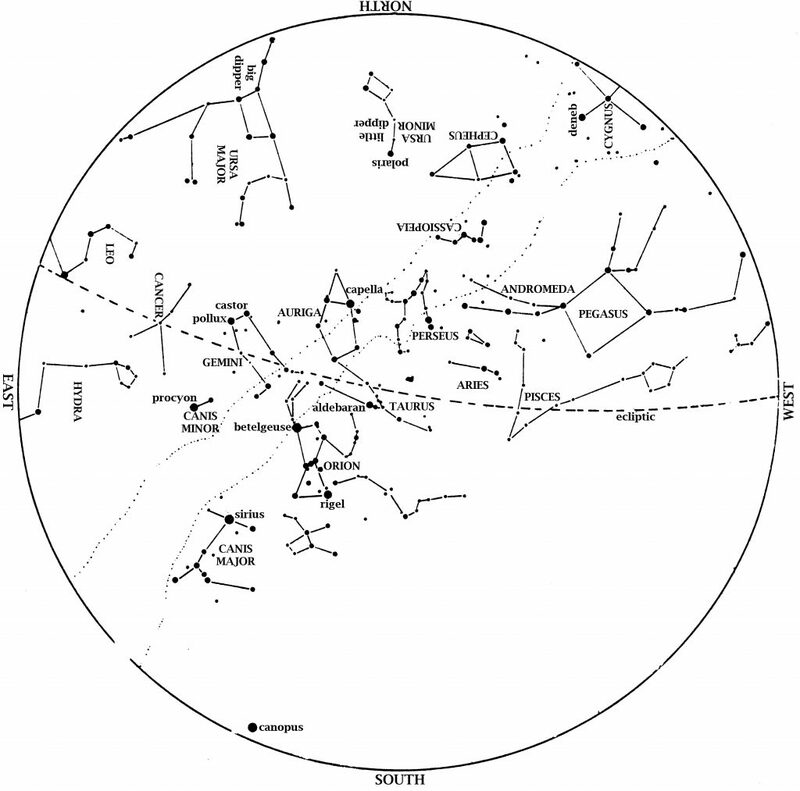 This star map shows the Houston sky at 9 pm CST on January 1, 8 pm CST on January 15, and dusk on January 31. To use the map, put the direction you are facing at the bottom. The Great Square of Pegasus sets in the western sky. Taurus, the Bull, is almost overhead. Dazzling Orion, the Hunter is high in the southeast, with his two dogs behind him. Sirius, the Big Dog Star, is the brightest star we ever see at night. Leo, the Lion, rises in the east. In the north, the Big Dipper gradually re-enters the evening sky. Author: 阿爾特斯. Source: Wikimedia Commons. Eklipsi Hënor. Author: QHyseni. Source: Wikimedia Commons. A total eclipse of the Moon will occur early Wednesday morning, January 31. Houstonians will be able to see the first half of the event, which happens in the west as the Moon sets at dawn. Lunar eclipses occur when the full Moon moves into the Earth’s shadow. The first part of the Earth’s shadow that the Moon will encounter is the penumbra. The penumbral shadow’s faintness means that sharp-eyed observers will notice only a slight dimming of the Moon between 4:50 AM and 5:47 AM. 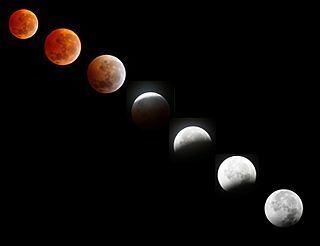 The Moon moves into the darkest part of the earth’s shadow, the umbra, at 5:48 AM, and will be totally eclipsed by 6:51 AM. Because the eclipse happens right at dawn, the Moon is quite low—only three degrees above the horizon at the start of totality. For best viewing, Make sure you can see all the way to the horizon, with no trees or buildings in the way. The Moon does not usually vanish during totality. A large amount of dust from a volcanic eruption, however, can indeed make the totally eclipsed Moon almost invisible. With little dust in our atmosphere, the Moon glows reddish-orange during totality. This is because only the Sun’s red light comes through the Earth’s atmosphere and falls on the Moon even while it is in the Earth’s shadow. 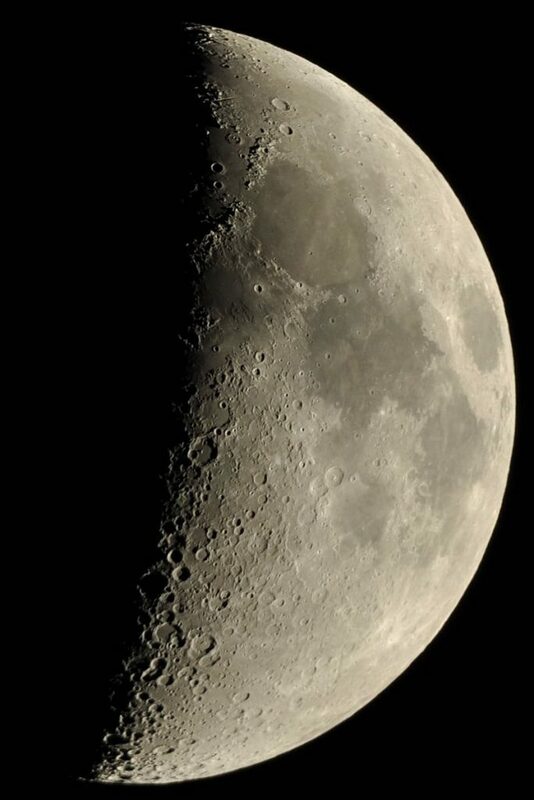 The Moon will pass through the southern part of the Earth’s shadow. As a result, the northern limb, closer to the center of Earth’s shadow, will appear darker. We’ll see our next total lunar eclipse in Houston on the evening of January 21, 2019.